A must have in the kitchen is a great processor. 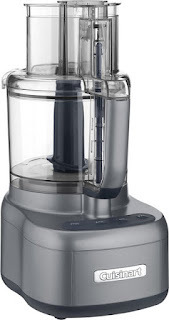 Today ONLY (2/3), this Cuisinart Elemental 11 Cup Food Processor is $89.99 (Retail $149.99). With stainless-steel blades and shredding and slicing disc attachments, you can chop nuts, purée soup or slice fruits and vegetables quickly and easily. Rubberized controls make operation simple.